Game-changing technologies are transformational, exciting and disruptive for a reason. They shake up the status quo. They get you thinking about new ways to scale, compete and grow. They move you in amazing new directions. Take Big Data. In the last few years, Big Data has gone from buzzword du jour to making a significant impact in all facets of our public and private lives. Whether serving-up finely-tuned ads on Social media sites, or delivering better services to residents in cities, the impact and potential of Big Data are just beginning to be realized. 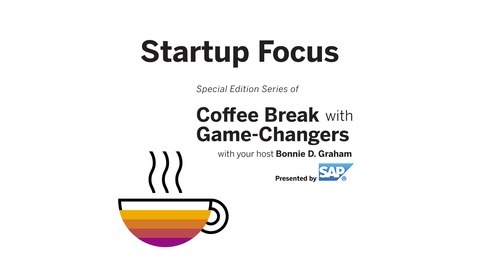 Join host Bonnie D. Graham for Startup Focus with Game-Changers, our series about today’s top innovative Startups and emerging trends in the Big Data space, including Augmented Reality, Internet of Things, Machine Learning, Predictive Analytics, and learn how you can grow your business and profit. 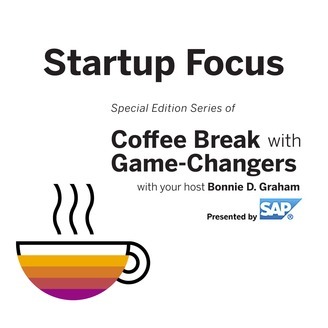 Startup Focus with Game Changers, presented by SAP, Tuesdays at 9 AM Pacific Time / 12 Noon Eastern Time on the Business Channel. The buzz: Congratulations! How do you know when your tech startup is a success? A big enterprise answers your call. What’s in it for them? Your disruptive products and solutions deliver the innovation they cannot develop on their own due to cost, change-resistant culture, lack of agility, and sluggish internal creativity.